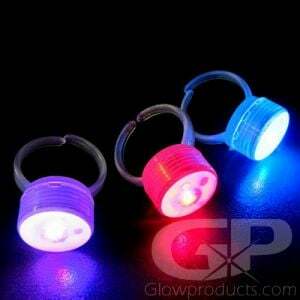 - 4 Bright LED Flashlight Rings per Package! 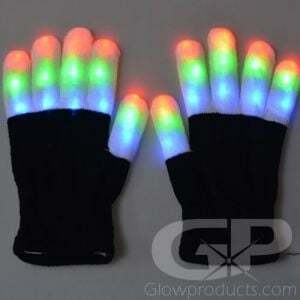 - Includes Green, Blue, Red & White LED Light Rings! - Elastic Finger Strap - Adjustable to any Size! - Great for Birthdays! Glow Parties! Fundraisers! 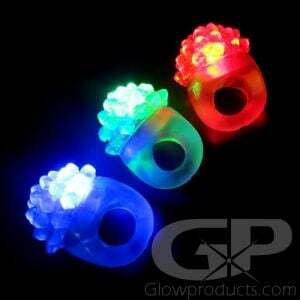 LED Light Up Flashlight Finger Rings! 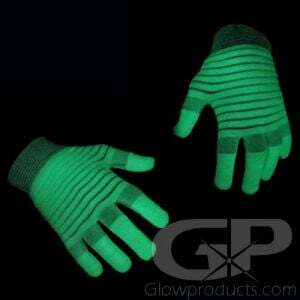 What better way to make a huge impact at your next event than with bright light streaming out of your fingers?! 4 pcs of LED Light Up Flashlight Rings are included in each pack - so you receive 1 Blue, 1 Green, 1 Red and 1 White Light Up Laser Rings in each package! 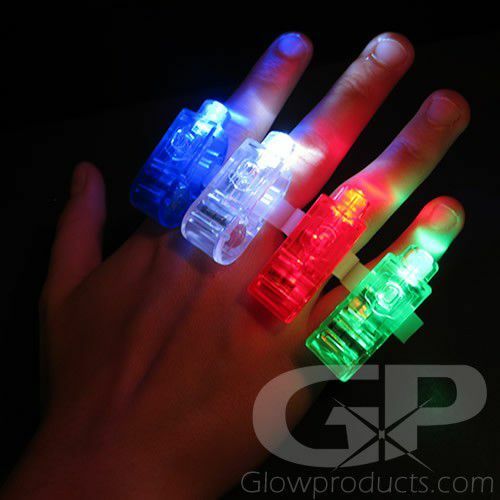 Flashlight Finger Rings are extremely popular at school dances, costume parties and birthday parties. 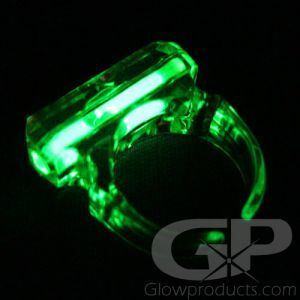 These fun glow in the dark rings come with a comfortable, wide elastic ring-band that matches the color of the Light Up Finger Ring and will fit just about anyone! Instructions: Turn on the LED Laser Finger Ring by sliding the switch on the top of the ring to the "on" position. Slide the switch back to turn the LED light "off". These LED Rings requires 3 pieces of AG3 Batteries which are included and replaceable. Please note the price is for 1 package that contains 4 pcs of the Light Up Rings.